I’ve never been a Law & Order fan. I’ve watched it. How can one avoid it? But it was never part of my regular TV viewing repertoire, never a show I would think over the course of a day that I was looking forward to watching that evening. And the same goes for its offspring. 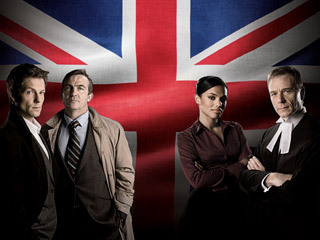 Earlier this month, Gail discovered one of its younger children, Law & Order: UK. We don’t get BBC America as part of our cable package. We are, however, able to catch up on the episodes after the fact using On Demand, and we’re quite enjoying them. Looking over the website just now, I see that what we’ve managed to see are the last few episodes of season one and, just two nights ago, the first episode of season two. Now, I know they use the language a little differently over there. But could this really be what the writers intended? And did no one — actor, director, whoever — think to question it? Surely what has happened is that two more plausible sentences got blended to produce this. Wouldn’t one say “I didn’t remember how much I enjoyed this” or “I didn’t realize how much I missed this”? Or am I missing something?